Footling Breech VBA2C Home Birth- With Pictures! 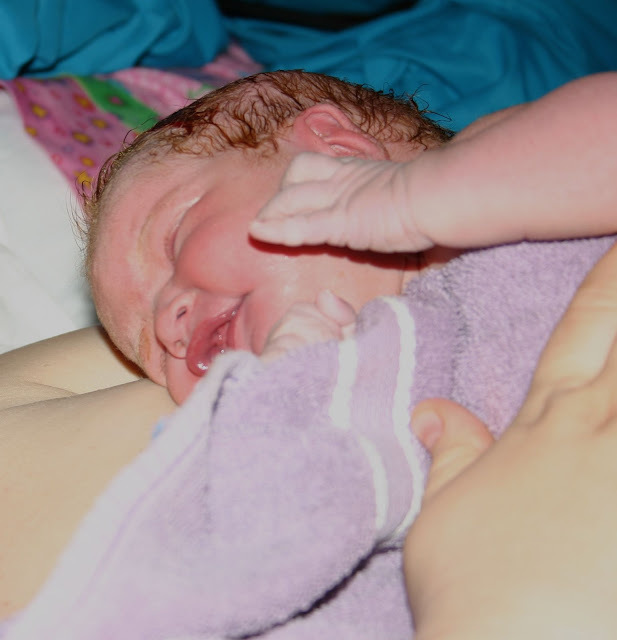 Here is a seventh birth story, a surprise footling breech home birth after two previous cesareans (one of them for breech)! Jenny tells us about her birthing experience in this exclusive interview. So grateful to share breech knowledge for the amazing Lauren McClain for Breech Week 2016! Your breech HBAC was your eighth birth. Tell us a little about each of your previous births. My first birth, a girl in 2000, was not great but it wasn't horrible either. I was a teen and the birth was heavily medicated, but my birth team helped me to accomplish a vaginal birth of a posterior baby! Baby two was an induced birth due to "big baby". After being on pitocin for 19 hours, my boy came out healthy but I had a minor hemorrhage. Our third baby, another boy, was born after another induction which lead to shoulder dystocia that the doctor was not well trained in dealing with. Our son did not breathe for four minutes! Very traumatic. Baby four was induced via prostaglandin gel. After artificial rupture of membranes, it was found that baby was coming hands first. I was still "allowed" to labor. But soon we also had a cord prolapse which lead to cesarean, birth trauma, and severe PPD. For baby five, I knew I wanted a vbac. But with a vbac ban at our local hospital, I was forced to travel an hour away for appointments and birth. I was induced via AROM at 11 days past due (the longest anybody had ever "let" me go!). Five hours of medicated labor and we had our fourth boy! 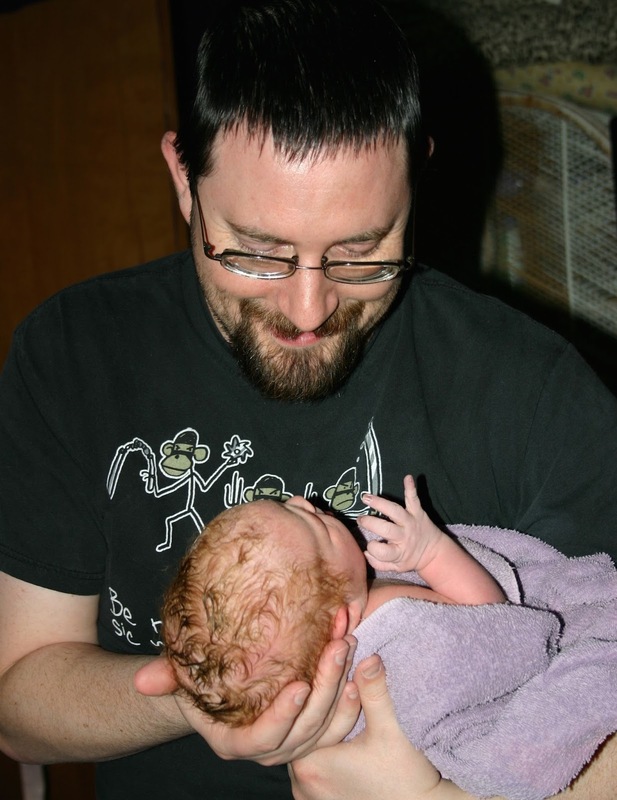 Baby number six: We had decided we were tired of doctors telling us how it was going to go. So we opted to look for home birth midwives. None clicked with us and our baby also remained breech. We had a failed ECV attempt and resigned to the fact that she would have to come via cesarean (we were given no other options). The surgery went well, despite a small cut to baby's foot. But, I was treated poorly after she was out and I woke in recovery not knowing where she was or what had happened. Five months later, although we'd not been trying, we were pregnant again. Sadly, we lost our angel at 11 weeks. It was painful in more ways than I can express, but I had peace as I went through her labor with no pain medications at all. Why did you decide to do a home birth this time? I was determined that I did not want the risks associated with another cesarean (which I would be forced into at a hospital). I was even determined to go unassisted, and had researched and studied and become familiar with every scenario I could think of and how to properly deal with it. My best friend then introduced me to her home birth midwife and there was an instant calm and peace and my pregnancy went on with far less stress than any other ever had. When did you find out your baby was breech? How? We knew from about 32 weeks on that our baby was breech. Our midwife was comfortable with breech births, as were we, so we never really focused on it. At 38 weeks, we confirmed with ultrasound and we tried to use spinning babies, chiropractic care, etc to turn her. Some days she was head down, others she was breech. Finally at 40 weeks she settled head down and stayed. However, while she had been head down the evening before, she turned at some point in labor as was confirmed with fetal heart tones and palpation. What feelings or thoughts did you have when you found out she was breech? I think my first thought was panic. 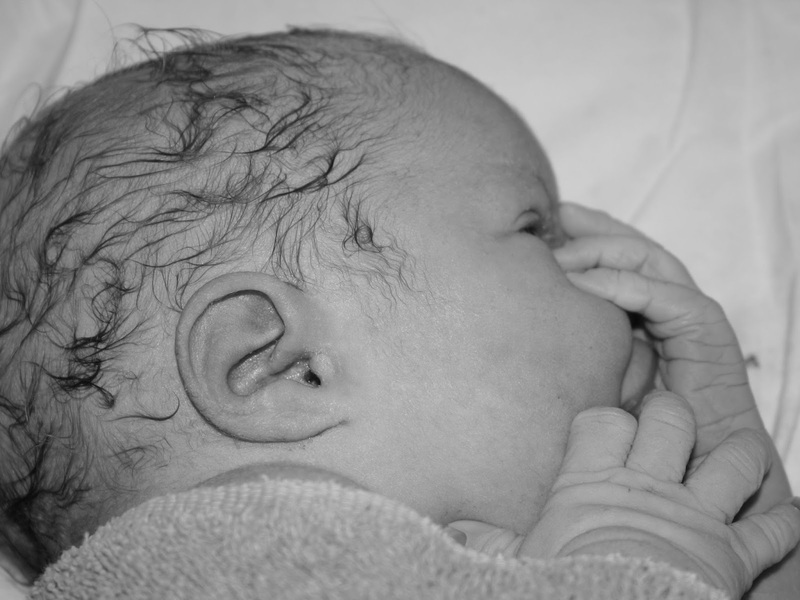 I was absolutely terrified of another cesarean. I needed reassurance that my baby was healthy and that I could do this naturally. My midwife left all decisions up to me and my husband. And with their help I decided I would stay home. I went into labor thinking she was head down. Then Rebekah told me she was breech and we certainly COULD still do this but it was up to me. Her confidence (and the fact that I did NOT want to get cut open again) kept me going. Was there anything unusual about birthing a breech baby? I was having extremely intense pain on my pubic bone and was starting to panic thinking maybe my previous c-section scars were tearing (of course my amazing midwife knew better and was able to reassure me). Turns out baby had her heels jammed up on my pubic bone preventing her from coming down and causing me so much pain. My darling midwife did everything she could to coax that foot off and under the bone. With every contraction we tried. (I realize the general rule of thumb is "hands off the breech", but this was a case in which we weighed the risks and decided it was best to help baby along) Finally two little feet popped thru and there was some relief! I got to reach down and feel her little toes!! Amazing!! But now it seemed her knees were caught up...sigh! We decided after a bit to move to the bed to lay on my back and see if gravity could help pull baby's legs down under the pubic bone. Apparently something worked because I remember hearing that her feet were out and I remember feeling her body start to come. I did push and it did feel good to push. But I never had an urge. When she got right about to her armpits out, there was a slight movement of her chest, so my midwife got me quickly to hands and knees, and THEN the urge kicked in! I suddenly felt the intense need to push and baby came out arms over her head! 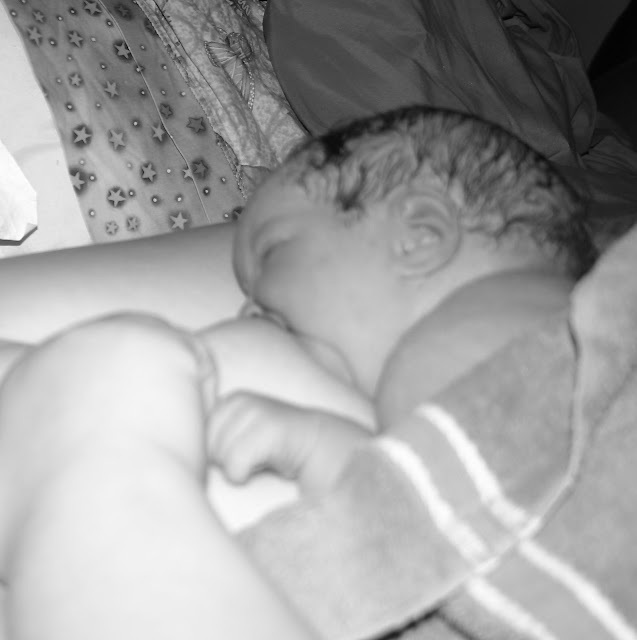 Of all my birth experiences, this was by far the easiest and most magical birth ever. It was a "dance" and I am so grateful that my little girl chose to come in the way that SHE knew was best, for us both. You called your birth a dance. Can you say more about that? A dance is rhythmic, sensual, and very personal between two people. This was what my labor and birth was with my daughter. There was a connection I can't describe that just told me I needed to swat my hips this way, lean that way, rest on my side, now on my back, etc. It was like my baby was giving signals of what she needed me to do to help her make her way out. We "listened" to each other and worked together, and it was the perfect dance. Why do you think this baby was breech? What would you say to other women with breech babies? I would encourage them to do what they are comfortable with, but to fully do their research. I would tell them that if they truly want a vaginal breech birth, they may need to be prepared for a fight. They will need to find a birth attendant who will assist breech birth or will be willing to learn breech birth for them, or they will need to go unassisted and be prepared to take responsibility for anything that arises. But mostly I will tell them that it IS possible and that if it is the road they choose, to hold fast and strong and to not "take birth lying down". Learn about breech now! Get a free Guide to Breech (and other birth printables) from Better Birth Graphics. Jenny and her husband James live in SE North Dakota with their children Tracy (15), Skyler (13), Tanner (12), Ethan (9), Serj (7), Elliana (3), and Makenna (18 months). Jenny is a homeschooling mother and they enjoy family games, movies, trivia, cuddles, and have recently taking up camping!